The KASCA visual arts framework breaks down the core components of practice, conceptual framework and the frames into a series lesson sequences. All lesson sequences come with ready-to-use differentiated learning and teaching resources and are available in an online format through the tabs below and an e-book (PDF 12.75MB) version that can be downloaded to your smart device. Students will criticise works by professional artists and engage in the practise and processes of creating their own works. Visual Arts 7-10 Syllabus © NSW Education Standards Authority (NESA) for and on behalf of the Crown in right of the State of New South Wales, 2003. The frames are constructed to give students a means for analysing art from multiple perspectives. When completing this unit, students will explore individual artworks through conceptual practice. All activities require students to demonstrate their learning and are all assessment for learning activities. complete the interactive activities on the framed website. 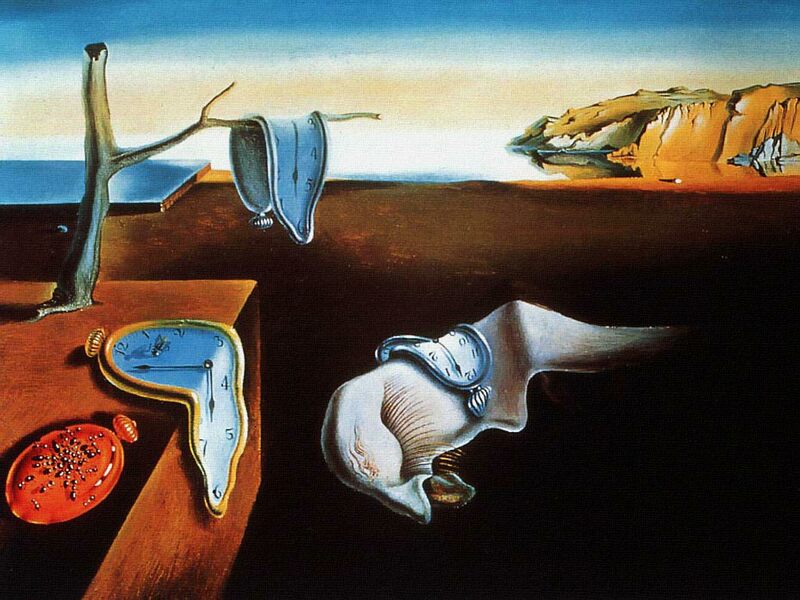 Salvador Dali, The Persistence of Memory, 1931.
use the elements and principles of design to create a frame on the butchers paper that portrays a perspective of looking at that artwork through that view. Repeat this process again on another artwork from the list. How are the frames different? How do the frames influence your perspective? create a wordle linking the metalanguage to each frame. Edvard Munch, The Scream, 1893 date accessed 09/03/18. read the article What is the meaning of The Scream? highlight the subjective language examples within historical and critical analysis (an example has been provided below). The exhibition at the Neue Galerie explores the relationship between Munch, who was born the second of five children to an impoverished military doctor in 1863, and the avant-garde Expressionist art movement that emerged in Germany and Austria in the early years of the 20th Century. Although the show concentrates on the latter stages of the artist’s career (Munch died in 1944), it still finds room for The Scream of 1895, which he created three years after first arriving in Berlin, where he quickly made a notorious name for himself. It was in Germany, during several creatively frenzied years, while fraternising with like-minded artists and writers, such as his close friend August Strindberg, at a bar called the Black Piglet, that Munch created the major paintings which remain his best-known works, including The Vampire and Madonna. They were conceived for his epic, semi-autobiographical series The Frieze of Life, which transmuted his own high-keyed emotions concerning love, sexuality and death into universal symbols. 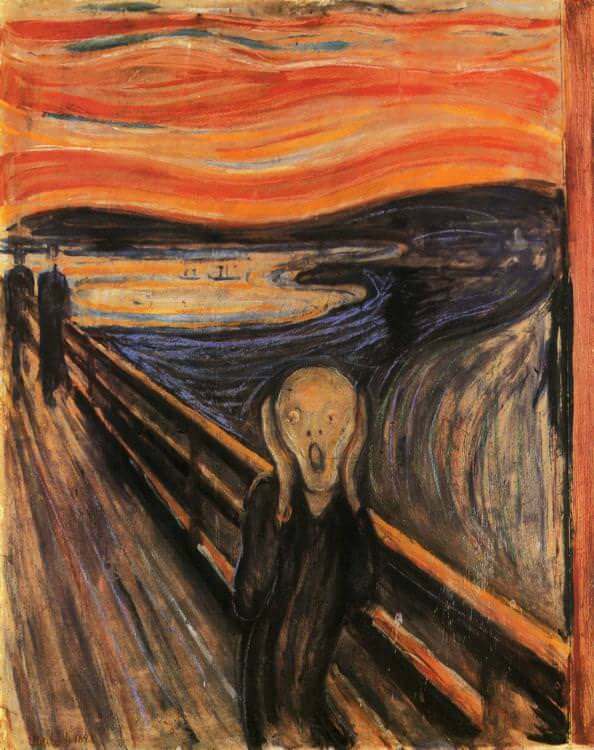 The original, 1893 version of The Scream was one of 22 elements in the cycle. Beneath a boiling sky, aflame with yellow, orange and red, an androgynous figure stands upon a bridge. Wearing a sinuous blue coat, which appears to flow, surreally, into a torrent of aqua, indigo and ultramarine behind him, he holds up two elongated hands on either side of his hairless, skull-like head. His eyes wide with shock, he unleashes a bloodcurdling shriek. Despite distant vestiges of normality – two figures upon the bridge, a boat on the fjord – everything is suffused with a sense of primal, overwhelming horror. Text extracts from What is the meaning of The Scream? BBC, date accessed /09/03/18. Vincent Van Gogh, The Starry Night, 1889 date accessed 09/03/18. identify the picture plane and patterns within the art. The analysis below has an example of this.